It's Thursday again! How is that even possible? Thank you to those who linked up last week! As always, it was so much fun checking out everyone's looks. We loved all the fall fashion that we saw and got some fabulous inspiration. We are excited to see what you have in store for us this week! So, get linked up and go meet some new blog buddies. 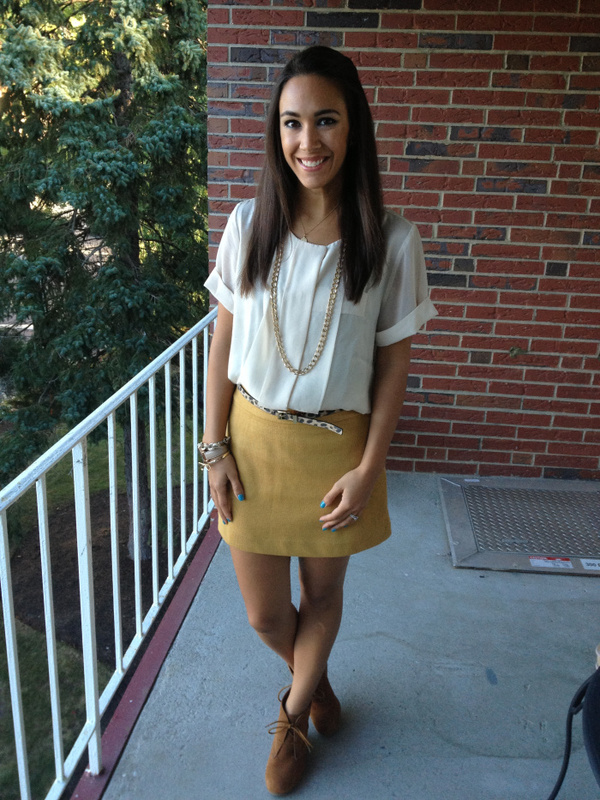 We are totally swooning over Jessica of Newly Loved's outfit! We love how she paired plaid with a white lace skirt. We are obsessed with plaid for fall, and that belt is the perfect touch that brings it all together! We love how Danielle of 2 Coasts Fashion is transitioning to fall by pairing a mustard mini skirt with a lightweight cream blouse and wedge booties. The leopard belt is the perfect fall flair. You know we love leopard! 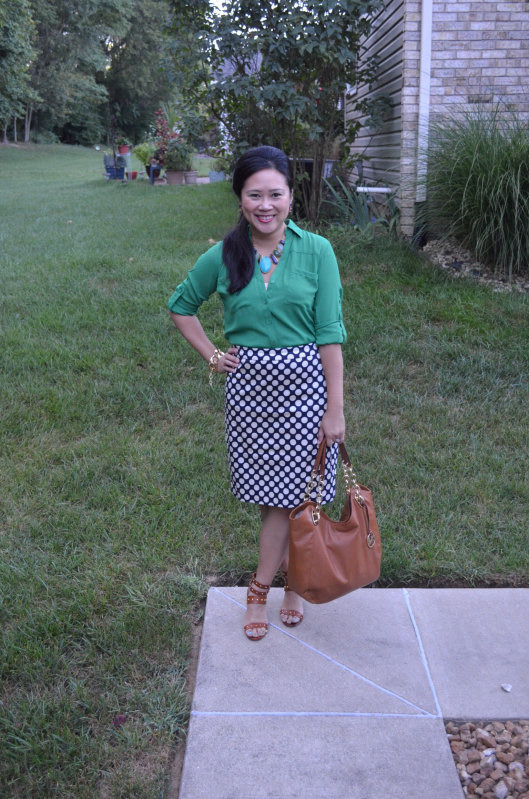 Carylee of More Pieces of Me paired a fabulous green blouse with a navy and white polka dot skirt. We love how she incorporated the cognac heels and bag. Such a great fall transition look for the office. Your post can be about anything fashion related! Think of it as show and tell for your favorite post that you have worked so hard on! We do ask that you please follow Everyday Fashion and Finance and Perfectly Coutured and in order to link up. Also, don't forget to post a link back to Three-fer Thursday so that people can come visit! Feel free to use the button below or you can create your own text link if you prefer.